American Bus Sales understands that our vehicles are quite the financial and logistical investment. Many of our clients simply do not have the space or resources to store or maintain such a large vehicle. 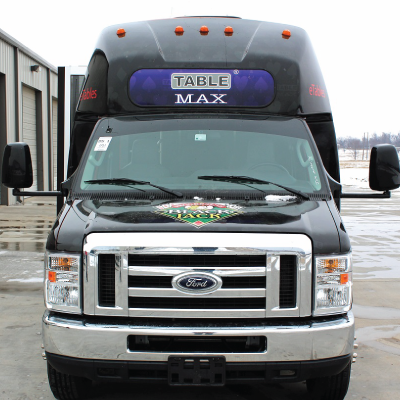 Additionally, a lot of our clients only need a bus or a shuttle for a short amount of time. Because of this, American Bus Sales is proud to offer rental plans to our customers. Our helpful staff tailors these plans specifically to meet your financial and operational requirements. We work with you to figure out the best solution for your inquiry. Our rental process is straightforward and flexible. Still though, our team will walk you through the process and answer any question you have. 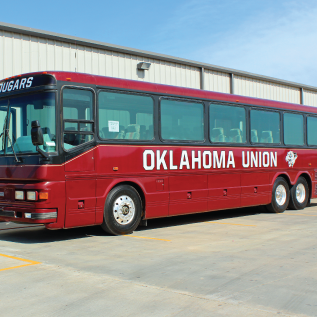 Rental buses and coaches are a great solution for company outings or team events. Even schools and private fleets can benefit from having temporary access to our vehicles. 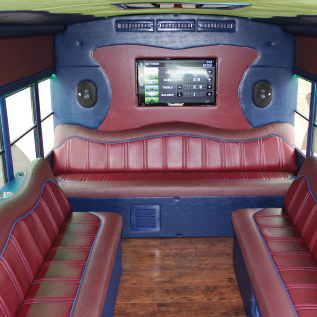 Our vehicles come with a wide range of features and amenities. How can we start your rental process today? American Bus offers a great selection of buses and shuttles for rent. As a leader in national bus sales, we offer our clients a wide choice of rental bus vehicles to choose from. Our selection includes well-known manufacturers such as Star Trans, Van Hool, Goshen, Star Craft, Champion, Glaval, Prevost, Thomas, Blue Bird, International, MCI, Krystal and more. Within that list we have several buses in different sizes with varying amenities. Because of this, our clients can be confident that we can find a bus to suit their needs. As such, we are determined to meet your individual requirements. Our team works to achieve maximum customer satisfaction. We care about your budget and your specific needs. Whether you require a school bus, luxury coach, or shuttle, American Bus Sales will provide you the vehicle you need. Just fill out the form below, and we can find the rental bus you have been looking for. If your query or requirement is urgent, please call us during office hours so that we can help you out immediately. American Bus Sales offers more than just buses and renting policies. It is our vast selection and our commitment to specific, relevant solutions that set us apart. Similarly, our acclaimed technicians are the main reason we are able to find such specific answers. Because of these two aspects, we are more than equipped to find any necessary solution for you. So, if you need additional services or further customization, we have you covered. Our service team inspects each of our vehicles for safety and functionality. Furthermore, they are particularly skilled at outfitting our vehicles with additional amenities. Lastly, the greatest benefit is working with a company that cares about your customer experience. Because of this, our customers always come back and our business grows. As our resources grow, so too does our capacity to provide the best customer experience possible. Established in 2004, American Bus Sales has garnered a reputation as a trusted curator of mass transit vehicles and services. Today, we have grown into a full-service fleet provider offering our services to all 50 states. We are proud of the notoriety we have created for ourselves. People associate our name with a team of hard-working individuals committed to utmost customer satisfaction. Because of this, our clients are confident in our ability to deliver the highest quality vehicles for any purpose. Above all, our clients trust us to prioritize their budgets and their safety over our own profits or sales record. Come by American Bus Sales and ask about our rental buses. We promise to find the solution you need, no matter how specific. Request a rental quote today!